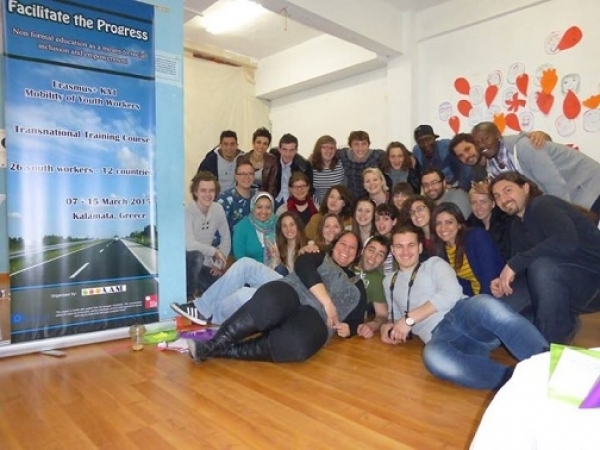 Erasmus+ KA1/Youth: Training course «Facilitate the Progress: Non Formal Education as a means to Social Inclusion and Empowerment» was implemented from the 7th to the 15th of March 2015 in Kalamata, Greece, in the framework of KA1 youth of the ERASMUS+ programme. In it participated 26 youth workers from 11 different countries. This training course was funded with support from the European Commission. This publication [communication] reflects the views only of the author, and the Commission cannot be held responsible for any use which may be made of the information contained therein.